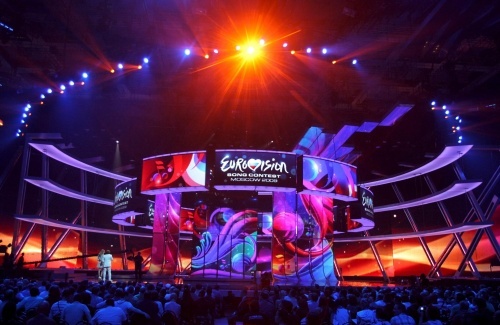 Russia's special task teams have prevented a terrorist act during the first semi-final of the Eurovision 2009 song contest. The news was reported by the Russian media Life.ru. Employees of the Russian Federal Security Agency discovered inside the Olympic stadium where the show is held, a hiding place containing a package with six 9-mm bullets. The discovery, reportedly, occurred just hours before the contest's official launch. The Federal agents further say they believe the bullets were intended to be used in an attempt on the life of one of performers. Tags: Eurovision 2009, Eurovision 2009 contest, Moscow, Krassimir Avramov, "Illusion"